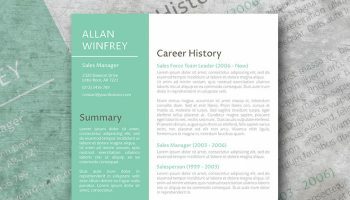 If your resume was nothing more than a place to list your credentials, the document wouldn’t be important at all for decision makers. But somehow they still rely a lot on it. What to know why? 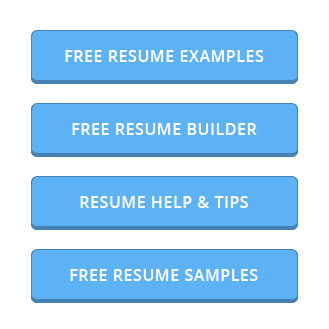 Because they view resumes as part of the person’s personal brand. 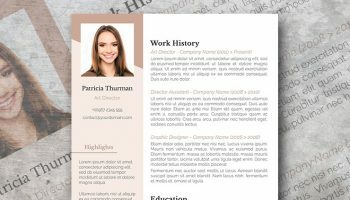 Your resume should communicate your personality, talents, and your field. And that’s exactly what this template does amazingly well. 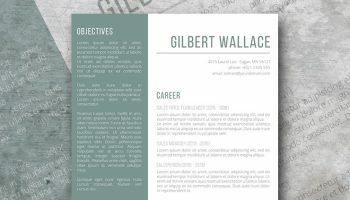 This free resume template features attractive, blue headings and subheadings. We have stuck with a more traditional color and font for readability. An attractive graph allows you to create a visual representation of your skills and experience. As always, this template may be downloaded on demand at no cost to you. Feel free to customize it using MS Word. 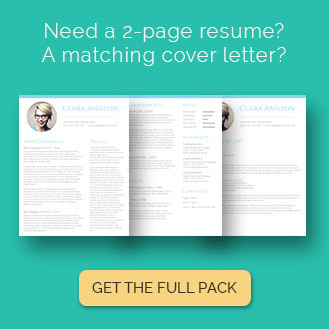 For a bit extra, you can include a killer cover letter, complimenting your resume. Thanks for the template, however when I try to insert the photo following the template instructions, it loads it sideways and will not let me rotate it. Help? Hi, please make sure that you are correctly centered in the original photo you are trying to insert. If this is not the case, you might need to crop the picture accordingly before inserting it to the template. The instructions for inserting the photo are not as stated – I can not figure out how to “fill the shape”. There is no “shape fill” option, under format for me. Is it listed elsewhere that I’m not seeing? Thanks! I am having the same problem with the photo inserting sideways and then not being able to rotate it. Hi Liz, thank you for reaching out. Please make a mouse right-click on the photo placeholder, then click on “Format AutoShape”, click on the “Fill Effects” button, go to the “Picture” tab and check “Rotate fill effect with shape”, then OK. You should now be able to rotate the picture. Feel free to reach out via the contact page with any question. Best regards. Hi Marianne, I am glad you like the template, thank you for your kind words. Please note that sharing on Pinterest will not unlock the download. You will need to use one of the social share buttons at the bottom of the post (the box with the like, tweet and +1 us) to reveal the button. 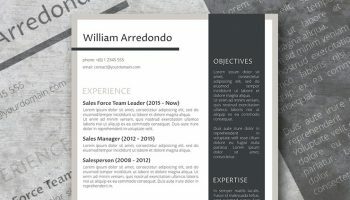 the font on the word doc does not match the photo on the website.. Please be sure to install the fonts listed in the documentation before editing the template. If not installed, they will be replaced with your default system fonts. how do I install the fonts on a pc? 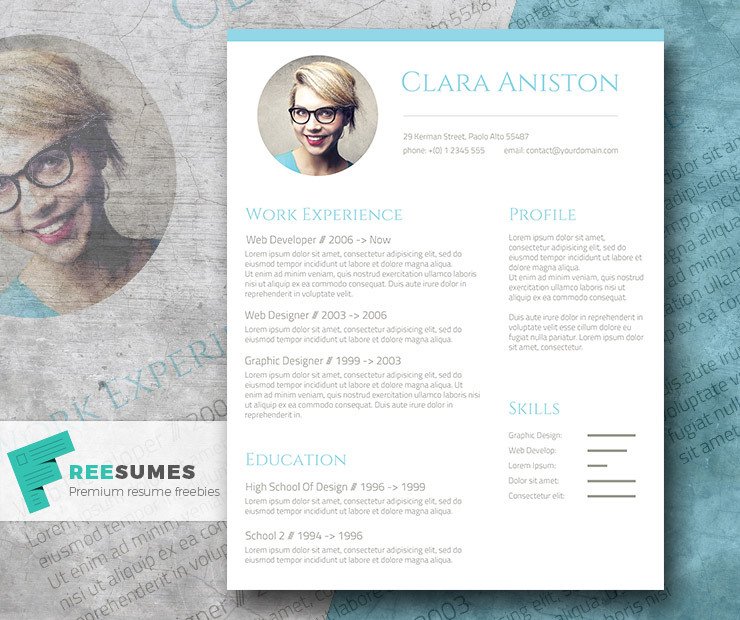 Thank you so much for sharing these résumés,there’s a lot of creativity and hard work on each of them. They are lovely and professional, they save us a lot of time! Please advise how I go about adding an additional page to the bottom of the template? For some reason I am not managing to do that, and need a bit more space for past work experience. Hi Nicci, thank you for your kind words, I’m glad you like it. Regarding your question, inserting a page can be a bit tricky. I would suggest to copy the entire document (Ctrl+A then Ctrl+C), insert a blank page, click on the blank page and then paste (Ctrl+V). 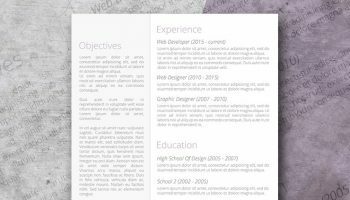 I was in a real hurry to get a CV template that will be super creative yet professional. I found the one here and that’s too for free. Thanks a lot. Awesome, thank you for your kind feedback Raktim, I’m glad it helped!